Before America can escape the 2016 election, everybody’s gotta vote in both the primaries and the general. And you know what that means: dealing with voting machines. Oh God, the voting machines. 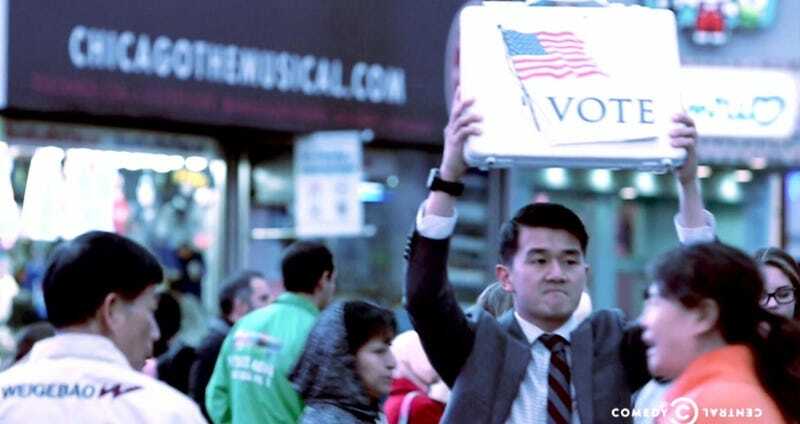 The Daily Show sent Ronny Chieng—himself a recent immigrant!—to investigate the tech, and he discovered that many of us can look forward to expressing our inalienable rights on broken copier machines from 1997, kept working by spare parts off Ebay. That is, those who aren’t driven off by interminable lines—which was something like 500,000 to 700,000 people in 2012, according to the segment. USA! USA!